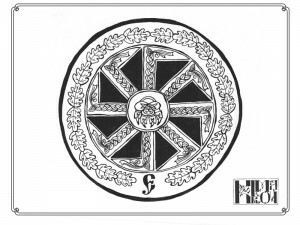 Among the exclusive content for Patrons you can find a story of King Einar’s shield, which used to belong to his Mother; the symbolism behind its pattern; and its current destiny. Surprisingly, the story of the shield includes a frisky anecdote involving our lively baskak. Have a look and consider supporting Rodhina and Katya Kolmakov!